Microsoft is changing Upgrade to Windows 10 prompt. 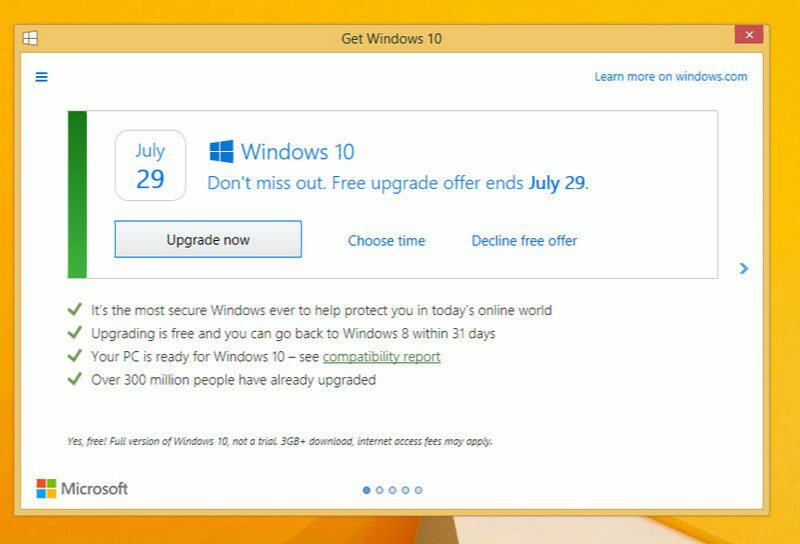 Windows 10 upgrade offer comes to an end in July. Microsoft pushed hard Windows 10 upgrade offer on older Windows installations. That’s set to change with this upcoming prompt refresh. Microsoft will add three clear options to Upgrade to Windows 10 prompt. You can either upgrade now, schedule a time, or decline the free upgrade offer. Windows 7/8/8.1 users now have just a month to upgrade to Windows 10 for free.